The highest standard. Precise detection. High-tech automation requires intelligent object detection. No matter what challenges you are faced with, photoelectric sensors from SICK are the reliable solution for a broad and demanding range of applications. The high detection quality of sensors from SICK increases the productivity of machines along with the quality of results. Are you faced with the challenge of detecting transparent objects on a daily basis but haven't found the right sensors for the task yet? Then SICK has the ideal solution for you: ClearSens. With the ClearSens product portfolio, you can reliably detect transparent objects in any environment. Smart Sensors generate and receive data and information which goes beyond traditional switching signals or measured process parameters. They therefore enable substantial increases in efficiency, more flexibility, and better planning security for preventative system maintenance. All set for any type of use. In any environment. They love a challenge. Thanks to new technology, they detect especially shiny, uneven, perforated and transparent objects more reliably than ever. They are not blown off course by unwanted light reflection. The highflier in object detection is not blinded by anything, it knows how things work. 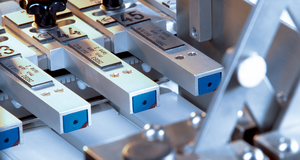 The wide selection of photoelectric sensors from SICK ensures that numerous automation engineering applications around the world can be implemented both effectively and efficiently. Photoelectric sensors from SICK are available as standard in a wide range of designs and materials. Thanks to the use of SIRIC®, SICK’s very own ASIC, combined with modern optical technologies, they offer the highest in operational safety, regardless of any on-site interference. 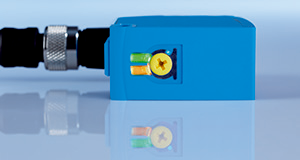 Additional sensor information via IO-Link helps to cut the complexity of modern production processes. Because SICK handles all its own engineering, from the design of microchips to implementation in photoelectric sensors, customization for special applications or customer requirements can be achieved quickly and tailored to your needs. Photoelectric sensors from SICK detect a wide range of object types and qualities, thanks to SIRIC®, SICK’s own ASIC. With SIRIC®, digital signal processing methods can be integrated into the world of photoelectric sensors for the first time. Sensors equipped with this technology are more powerful than ever before and are highly resistant to all known optical or electromagnetic influences. Thanks to modern communication options, they can be integrated seamlessly into automation networks. Sensors from SICK reliability detect any type of object. Whether dark or transparent, fast or small, perforated or glossy, uneven or covered in film, near or far away. You can rely on the highest level of quality. No matter what the prevailing conditions, SICK photoelectric sensors work reliably. They deliver reliable detection results even if there is strong ambient light influence or disruptive background reflections. Thanks to their rugged design, they withstand heavy mechanical stress caused by shock or vibration and are also protected from electromagnetic interference. No matter if conditions include dust, extreme temperatures or temperature changes, damp or wet environments or if there is contact with chemical or cleaning agents: You can rely on SICK sensors. They fulfill all relevant norms and standards as are required today by the industry. These include EU conformity, UL or RoHS, to name a few examples. What's more, internal SICK test guidelines often go beyond the legal requirements and usual market standards. 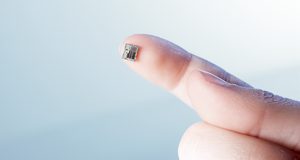 From miniature to large: Thanks to their variety of housing and operating options, photoelectric sensors from SICK can fit in any machine type. For the housing materials you have the choice between stainless steel, VISTAL™, metal, plastic, or Teflon® coating. You also have numerous options when it comes to connecting and operating the sensors. All sensors from SICK are easy to set up and mount.